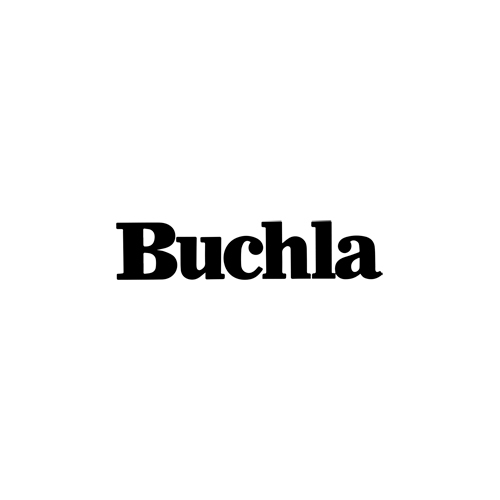 The Buchla 202h is an interfacing and Utilities Module that provides conversion of Buchla standard voltages, pulses and connections into other formats for use with other synthesizers. Adaptor, this part of the module converts cable connections into Buchla standards. 1/4" and 3.5mm to Banana, 3.5mm to TiniJax and 1/4" to dual TiniJax. This module converts both ways, so you can take Buchla signals out of your system into other systems too. CV Processor, this provides conversion between Moog standard 1v/oct and Buchla 1.2v/oct standard. It provides and offset control to ensure pitch perfect conversion and scaling, and just like the adaptor section it can convert both ways. Pulse Conversion, provides conversion between gates and Buchla pulses, it also converts banana to minijack to allow seamless integration with Eurorack and other standards. A very important module if you're looking to integrate your Westcoast and Eastcoast systems into one, the 202H gives you everything you need to play nice. The Buchla 202h is part of the H series lineup, it provides all the essential Utilities for integrating external signals and format into the 200-series modular domain, including: 1-1.2v conversion, 3.5mm to 6.5mm conversion and gate to pulse converter.